Soigné Nail Polish in Crème Au Beurre // This is a brand I've never heard of before but it's a really nice colour and I'm looking forward to trying it. I'm sure I'll share a NOTD of it soon. Aromatherapy Associates Revive Morning Bath & Shower Oil // This box is full of some of my favourites, especially this bath oil. It's one of the scents I'm thinking of buying the full size of so another mini bottle is more than welcome. These bath oils are incredibly moisturising and a little goes a long way. Benefit They're Real! Mascara // I've been through several of these mini versions so still haven't actually bought the full size, I think this might be my fourth?! I really like the wand and how this makes my lashes look. Liz Earle Cleanse & Polish Hot Cloth Cleanser // Cleanse & Polish is one of my favourite cleanser and one I've used for about ten years now and have been through countless bottles. I always have these mini tubes floating around, I've just given one to a friend to test out, so happy to have another one. Beauty Protector Protect & Shampoo and Protect & Condition // This little duo couldn't have come at a better time as my parents went on holiday the day after my box arrived so my mum took these along with her. They're away for two weeks so these little bottles are the perfect size. They also smell really nice too which I've found with all the Beauty Protector products I've tried. 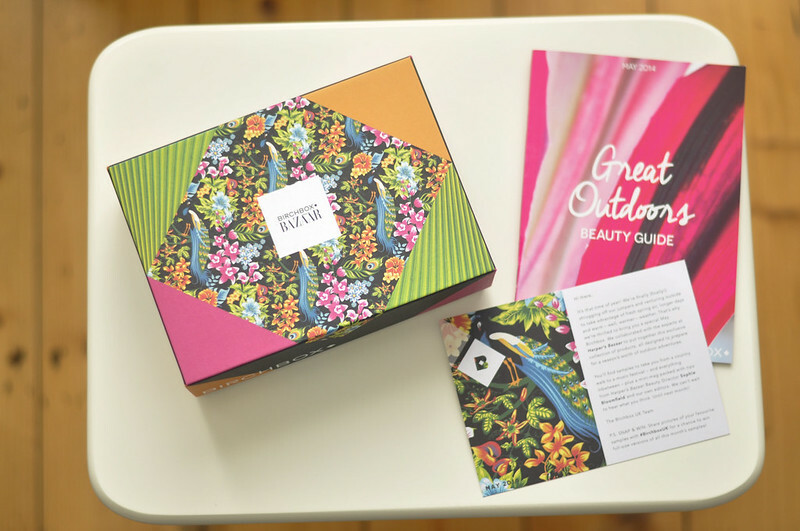 Birchbox is £10 + £2.95 postage per month. Waiting to hear your thoughts on the nail polish! That color is right up my street! Really impressed with the polish! I received Cerise and it was opaque after one coat!